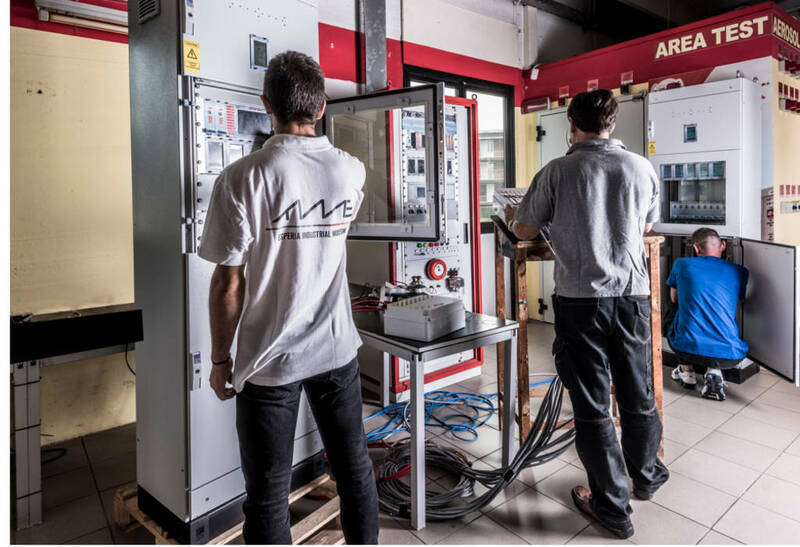 Five years after the launch of the Central EXFIRE360, SV expands its range of power plants with the compact version of its modular system, with the intent to complete the range of applications for small installations. MINIEXFIRE is a central mono-chassis can house up to 10 boards?of input / output, accompanied by their touch-screen display graphics that make the peculiarity. The power supply system EN 54-4 is?moved over an independent unit (called EXPSU20) with a maximum current of 20 A redundant capability. MINIEXFIRE is then housed in a cabinet size equal to 1000 mm (h) x 600 mm x 400 mm, which is combined with the power equipment ? and the relative battery capacity up to 80 Ah ? of dimensions 400 mm (h) x 600 mm x 400 mm. MINIEXFIRE is designed for wall mounting, ideal in environments where the composition of the plant or the narrowness of the space does not require a closet floor. MINIEXFIRE EXFIRE360 inherits the features and performance: modularity, simplicity of operator interfaces (which are graphic display for each card), CPU redundancy, diagnostics, automatic addressing, hot back-up, CAN inter-chassis communication, supervision with Enterprise software, interfacing to third party systems. EXFIREmini?borrows also from the ?mother? panel its?certification Heritage? (with the changes associated with the smaller size), making it usable for fire detection, gas detection and automatic fire extinguishing. EXFIREmini eventually spins off the unit power in an independent unit, sold separately from the panel. With regard to regulatory issues, the panel complies not only with the mandatory requirements of EN 54-2, EN 54-4 (fire detection systems) and EN 12094-1 (extinguishing systems), EN 60079-29-1 (ATEX Gas detection? systems) but is certified to carry a number of optional features covered by the same regulations and commonly required in fire fighting industry. Consider, for example, the availability of a standardized interface for input and output for two-way communication of the panel with the third-party systems, or the control of fire protection systems, or, even, the group shutdown reserves management? and supervision of reported pressure (high / low) of the systems themselves. 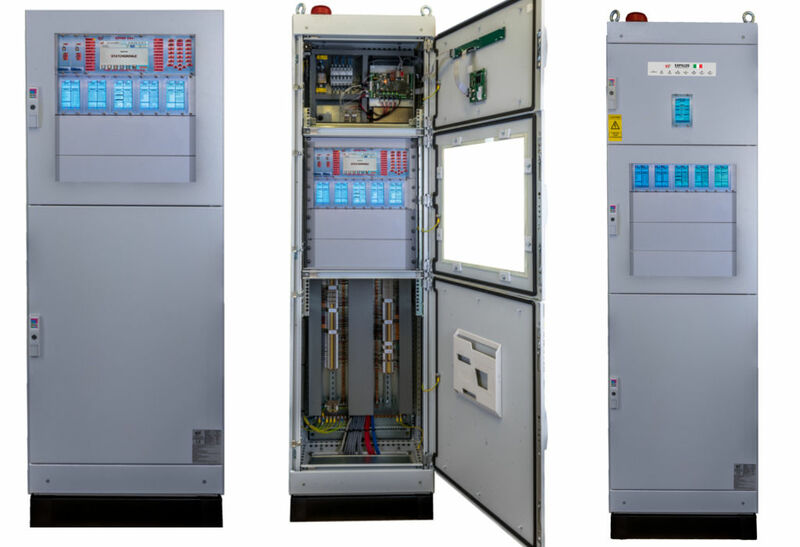 The EXFIRE360 panel was thus developed by implementing technological solutions to meet the requirements of EN54-2, EN54-4, EN12094-1, EN60079-29-1, GOST, soon, UL864 and IEC61508 TUV, protocol used Hochiki APOLLO. This section introduces the implementations that will run on both the central EXFIRE360 that its compact version to meet the requirements of paragraphs 4.29 (release of extinguishing agents to discharge selected areas) and 4:30 (activation of alarm devices with different signals) legislation EN12094-1. Compared to the EX6EV-C board currently certified for switching off, SV intends to propose a new configuration in which the role of the individual channels of the input / output is not defined a priori, and in which the logics are performed directly from EXCPU360. The boards used to manage this system will be EX6EV 2, 2 and 2 EX6SO EX8SI (or a EXLOOP-E in addition to the only part of detection). The menus in the same display will also be possible to change the settings (delayed discharge / inhibition time restore / etc.) Of each extinguishing zone and to disable (at access level 3) the charge itself. The above example is related to a ?complete?configuration. With the same kind of logic it will be?possible to manage less complex plants (for example a single area with a high pressure ressure switch, a discharge?button and a single solenoid to pilot). Opposite to?certified configuration previously explained locked on the use of board?and a EX8SI EX6EV adjacent, the new approach will cover the plant and regulatory requirements with a single board? (EX6EV) to be expanded with additional input boards? (EX8SI or EXLOOP-E) or output (or EX6EV EX6SO) depending on the characteristics of the system. Paragraph 12.3.2 of EN 54-2 provides the ability to install the ccs on multiple envelopes, provided that they meet the requirements of integrity of transmission media of paragraph 12.5.3. 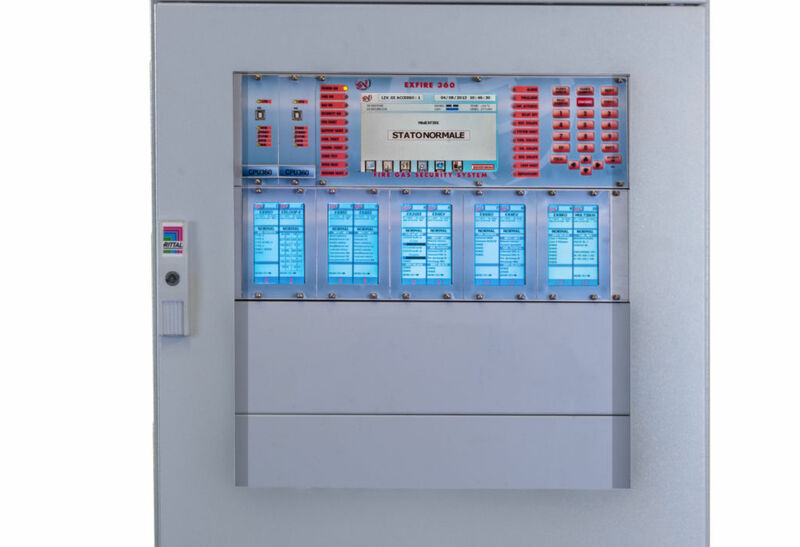 The chassis of the central EXFIRE360 can therefore be installed in separate packages compared to the control panel, indicating that the containers will be equivalent to those of the central EXFIRE360 in ?mini? version. Such concentrators will be supplied?from the equipment referred to in point B) or, alternatively, from the supply unit of the EXFIRE360 control panel, depending on the installation requirements.